Question: Why do Mentos mixed with soda produce an incredible eruption? 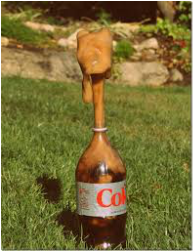 Hypothesis: We think if we place Mentos Candies in diet soda, it will create an incredible eruption because of chemicals. 7. Seven 3/4" to 1/2" reducing T's. ﻿﻿1. Make sure the Geyser pin is pushed into the IN position until you are ready to start the experiment. 2. Have paper towels in case of a messy explosion. The Science behind the experiment is the chemicals. The chemicals that are responsible for the reaction are gum Arabic, gelatin in the sweets, caffeine, potassium benzoate and aspartame in the diet soda. Together they cause the explosion along with the Mentos being dense. The Mentos sink rapidly, quickly creating bubbles that produce further bubbles as they rise. 1. Place the Geyser Tube Cape inside the 3/4" piece of PVC . 2. Attach the 3/4" PVC to the reducing "T". 2. 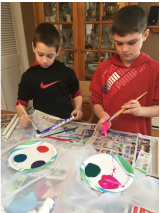 Attach the 1/2" PVC pieces to the reducing "Ts." 3. Repeat these steps to create an identical apparatus in the shape of an "M"
﻿﻿1. Place 3/4" piece of PVC into each side of the reducing "T" of the finished Part 1 piece. 2. Using these 3/4"" pieces , connect the Part 1 piece to both part 2 pieces. 3. Place the endcaps in the remaining reducing "T" openings and each end. 1. 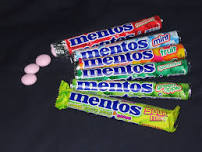 Fill the Geyser Tube with Mentos candies. Be sure the tube's pin is pushed to the in position. 3. Attach the finished Part 3 piece to the top of the Geyser Tub. 4. Place a cup under each 1/2" PVC piece. 5. Pull the Geyser Tube pin and....Presto! You have six cups of diet soda! The bubbly soda is invisible carbon dioxide gas which is put into the bottles when the factories bottle them. When you drop the Mentos into the soda, the ingredients in the soda combined with the candy break the surface tension. Bubbles form all over the candy. All the gases release and push all the liquid to the top of the bottle. 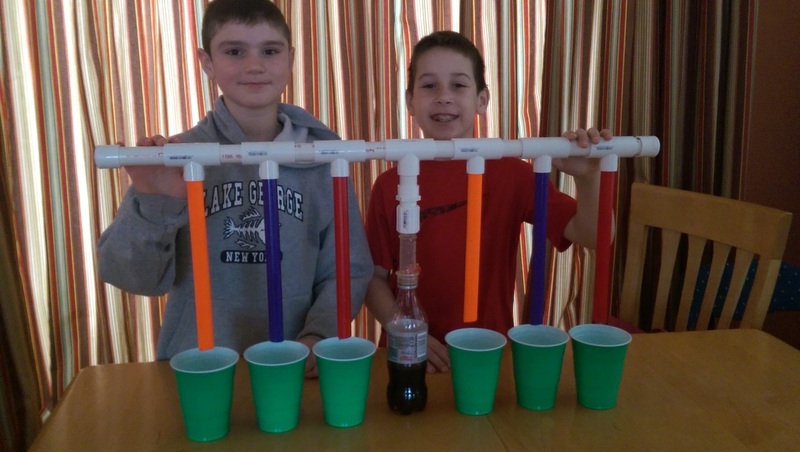 In our experiment, it pushes up through the bottle, along the PVC pipe and down to the waiting cups. We are best friends and enjoy a lot of the same things. We both play baseball and basketball. John- I am in Mrs. Sisca's class. My favorite color is green and my favorite food is tacos. I have an older sister and brother and a dog named Sammi. 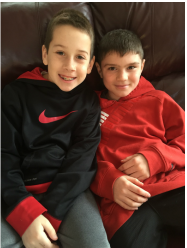 Andrew- I am in Mr. Camarra's class. My favorite color is purple and my favorite food is hamburgers. I have two older brothers and 2 dogs!